Move Unity Launcher to Bottom. Ubuntu 16.04 is providing option to move unity launcher to bottom also. 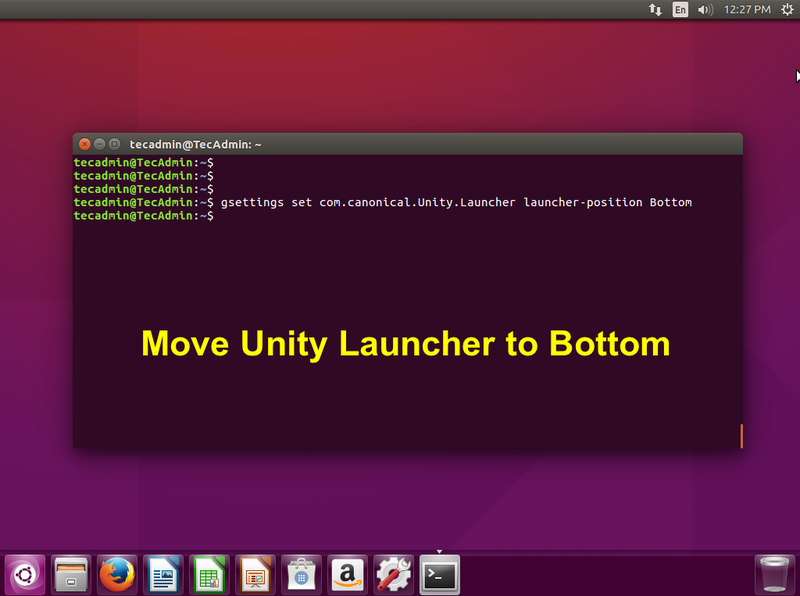 Ubuntu earlier versions doesn’t provide this option but Now we can move unity launcher to bottom or left side. This tutorial will help you to move unity launcher to botton or left in Ubuntu 16.04 LTS. This command will movie unity launcher to bottom of screen. This command will movie unity launcher to left of screen. Ubuntu 16.04 LTS Released – Whats New in this Version?